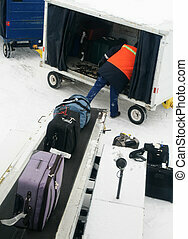 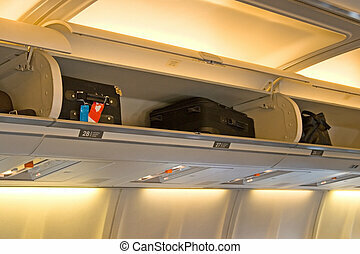 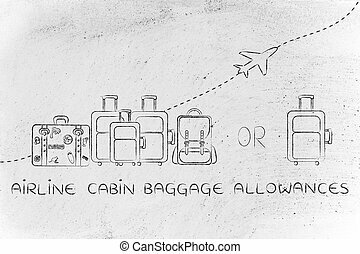 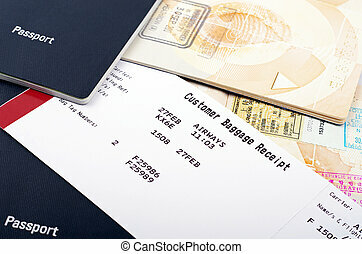 Airline baggage. 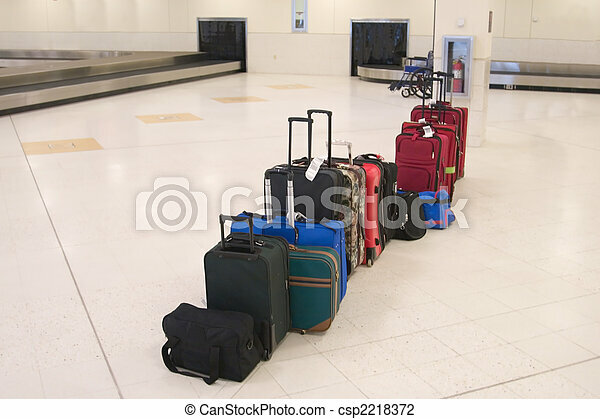 Passenger baggage and luggage in the baggage claim area of the airport. 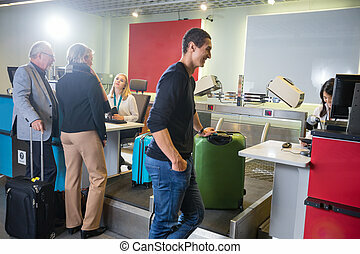 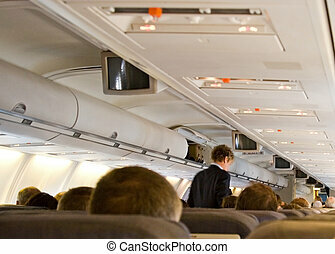 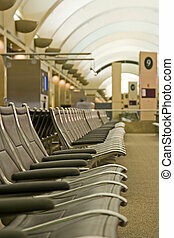 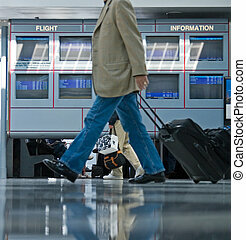 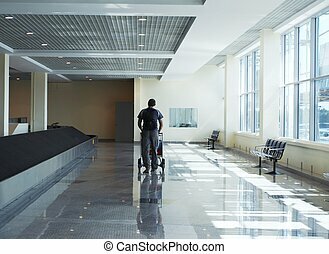 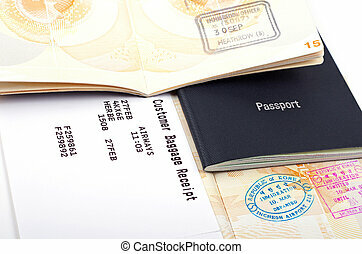 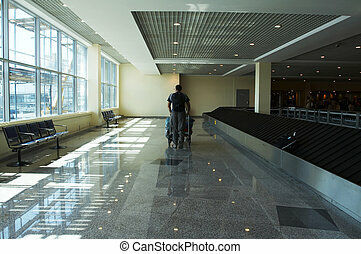 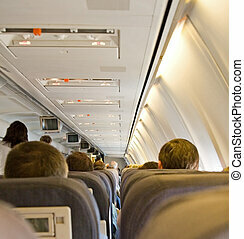 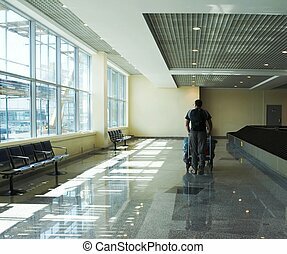 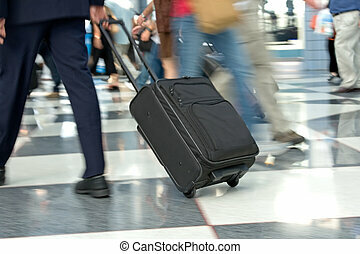 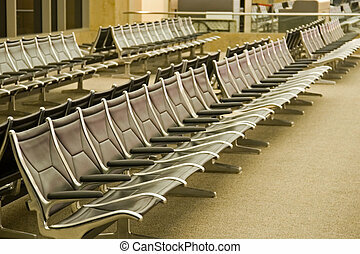 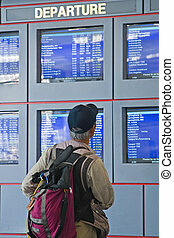 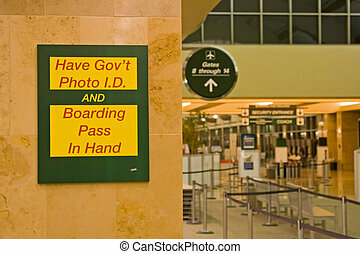 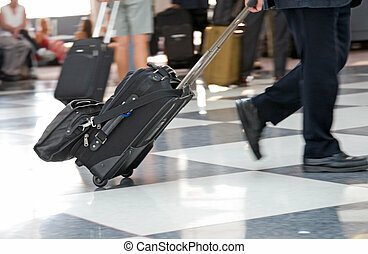 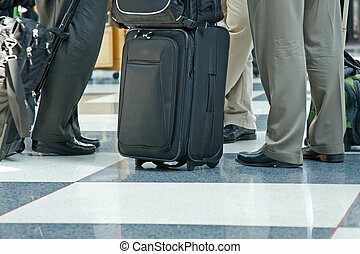 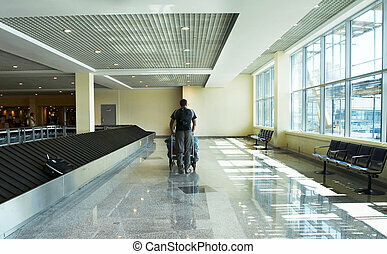 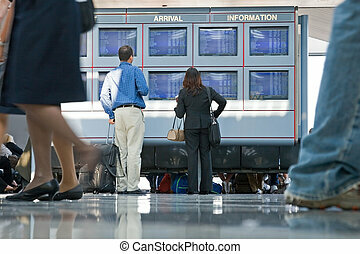 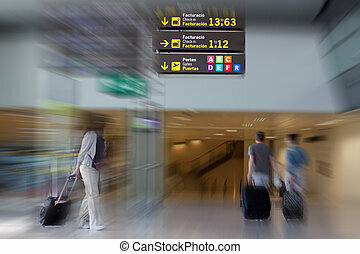 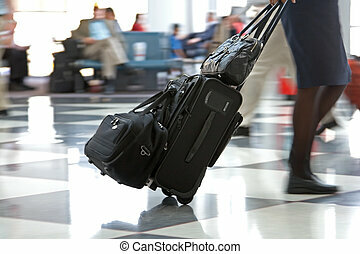 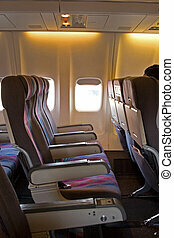 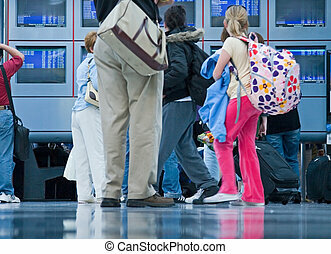 Airline passengers in the airport.